How we see colour for 2017…. Following a lovely break over summer, we are back and excited with fresh new ideas. How we see colour in 2017 is a palette of beautiful colours that can be used in different ways for your interior. 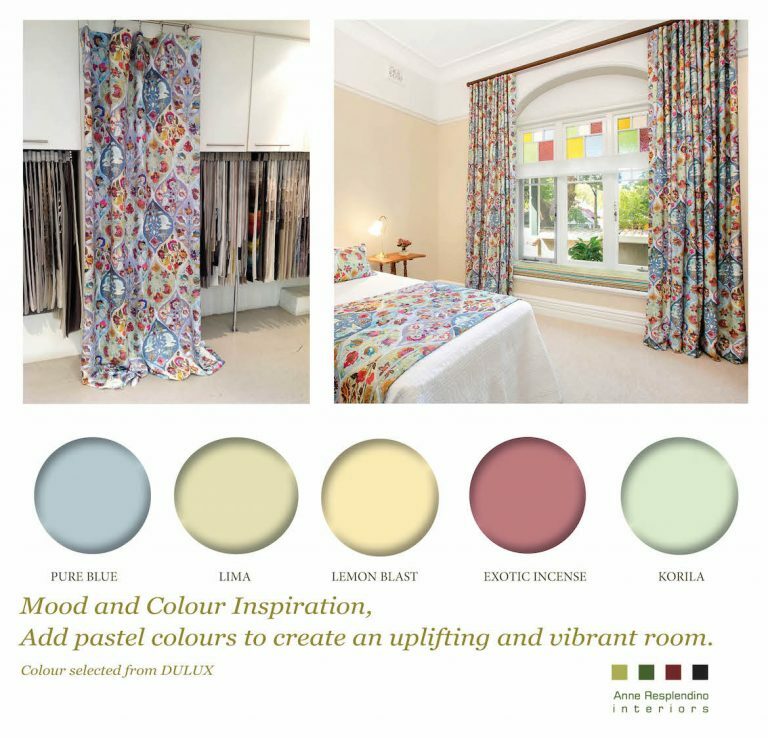 The selection of colours reflect the current mood in design, each colour can be used to add a special touch to your favourite room. We love creating timeless interiors for our clients with unique solutions reflecting their own personalities. Going away and changing the routine brings such uplifting creative ideas; influenced by the landscape we see, the natural colours in light and the emotion felt through experience. This is where I get the most inspired, away from the office, home and routine. 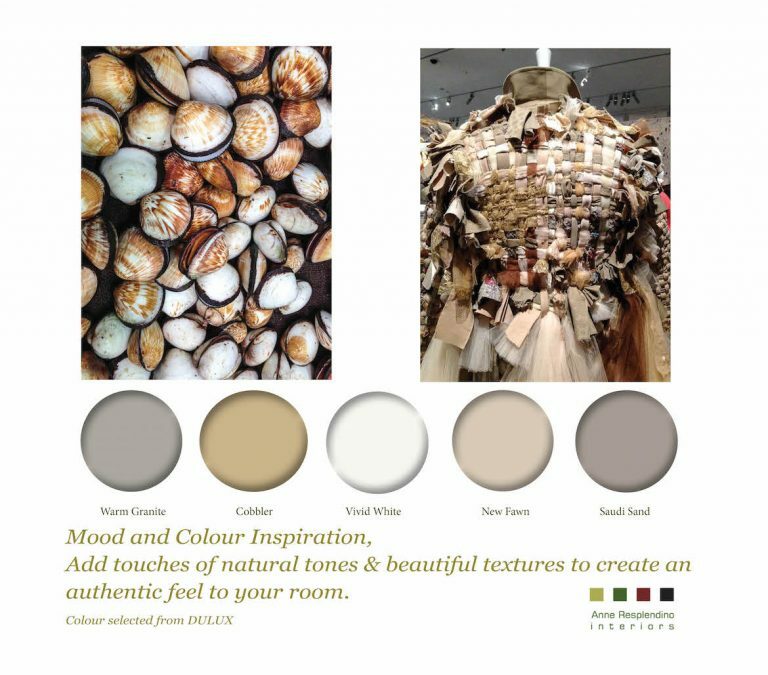 Looking at natural tones and beautiful texture I have been inspired by the colour of seashells found at our local Sydney Fish Market. I couldn’t resist taking a photo of this jacket made of woven natural fibre and created by the masters of exuberance in the fashion world Viktor and Rolf. Pastel colours are coming back in a more sophisticated way to embellish our interiors. These elegant curtains were made for a client’s guest bedroom. The fabric is made of 100% linen and has a flowing pattern that resembles a watercolour painting. Textile from Etamine Paris, Design Nomade. 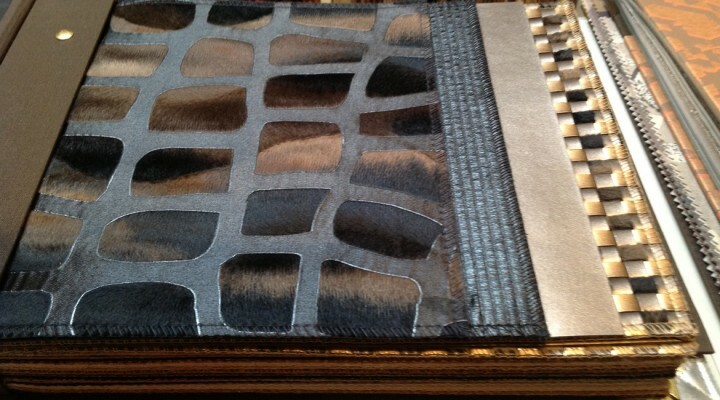 We source, design and supply window furnishing from the best textile suppliers for your interior. Bathroom and kitchen are becoming an elegant haven of style. 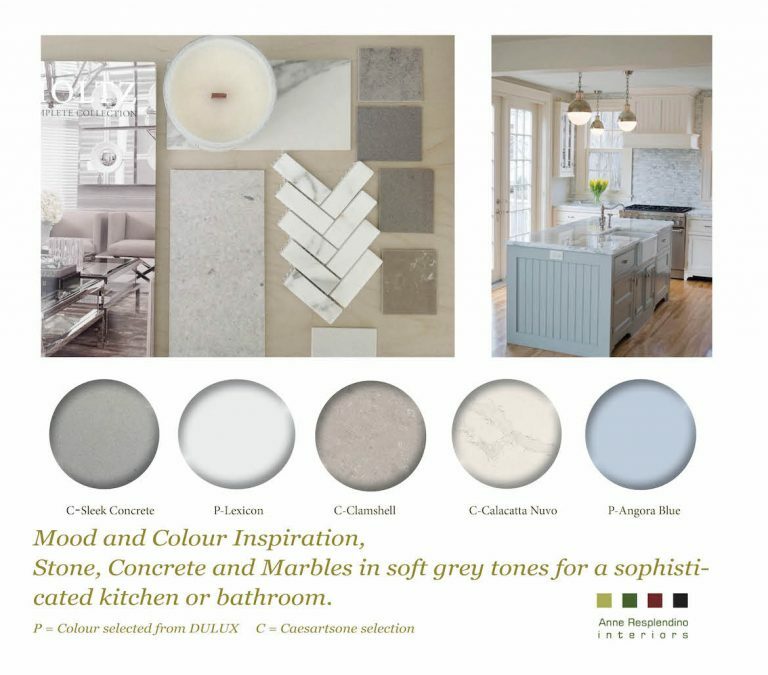 Soft grey is introduced with beautiful marble, stone and man-made stone. Texture and pattern play an important part of the design scheme, from small hexagon wall tiles, herringbone tiles to uneven surfaces and fractal patterns which add a certain warmth from a fairly cool colour palette. All other photos from Anne Resplendino. 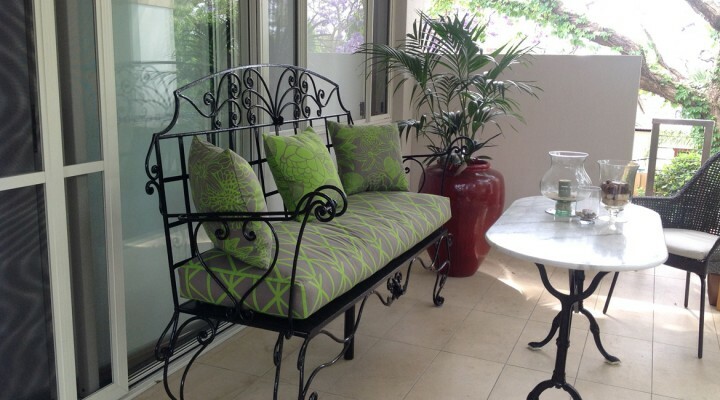 Get in touch with us to discuss colour for your home.